British Prime Minister Theresa May is visiting India on her first significant overseas visit outside the EU – and there is real interest in how it could be a harbinger of Britain’s post-Brexit future. Analysts are cautious about any major breakthroughs or significant trade deals, especially given strained relations between the UK and India over issues of immigration, which affect students and professionals in particular. But part of the UK’s agenda is to work bilaterally with India on a number of areas of mutual interest at the UK-India Tech Summit. Discussions will include the technological possibilities for “smart cities”, an area that has been identified by the UK delegation as a major focus for the event. This also resonates with Indian Prime Minister Narendra Modi’s high profile smart cities initiative, launched last year. Plans focus on making these urban settlements technologically-enabled, to ensure connectivity and communication using the latest information technologies. But what is missing is any sense of how cities may also be “ecologically smart” by securing the essential needs of their inhabitants – particularly clean air, especially important in smog-hit Delhi, and drinking water. It is also important to recognise that “ecological smartness” must include an understanding of the interests, aspirations and current circumstances of the different groups that live in these places. Bidur town in Nepal, facing pressures after the 2015 earthquake reduced water flows. 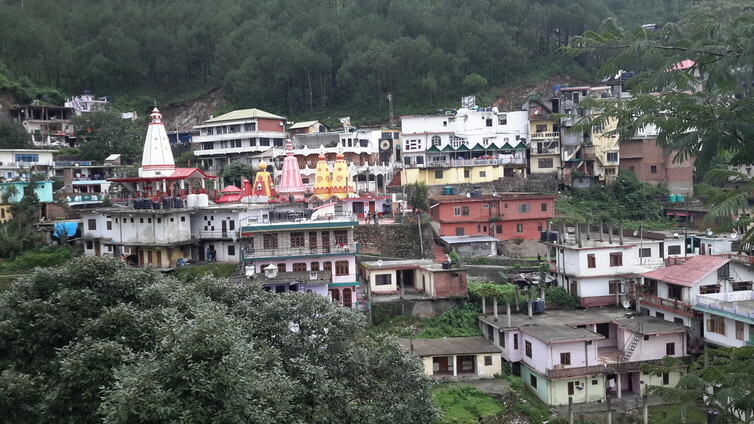 Over the past three years, a project jointly funded by the UK Department for International Development, the Natural Environment Research Council and the Economic and Social Research Council, has investigated the ways in which people living in and around six small towns in the Western Himalaya access water through a diversity of sources. These range from springs to piped supply, and the project also examined the sustainability challenges faced by these sources. Through these multiple and far-ranging case studies in Himachal Pradesh, Uttarakhand and Nepal, the team highlighted important lessons relevant to understanding water supply and how it is used and sourced in the urbanising hills. It has also outlined the policy options for securing water supplies for the needs of these hill residents. Nainital, a tourist town in Uttarakhand, which faces severe water shortage during the summer tourist season. The importance of critical water zones. The long-term sustainability of water sources is essential for the maintenance and growth of urban settlements. Urban planning and development occurs within city boundaries – but we must also proactively identify, manage and protect the critical water zones – the areas that are essential for the maintenance and regeneration of water flows across all landscapes, and which are often under threat due to rapid urban expansion, encroachment, changes in land use and deforestation. Inequality and the politics of water distribution. Within towns, cities and surrounding rural settlements, water is highly unequally distributed. Access is determined by a range of historical and socio-economic factors – and negotiations and conflicts around water access, distribution and quality between up- and downstream settlements characterise life in the hills. The diversion and appropriation of water to urban areas could create new conflicts – and we need to understand them. Local preferences and diverse water strategies. Households in the hills depend on multiple water sources, complementary to piped water connections. This is to do with cultural preferences – such as a belief that spring water in the mountains is sweeter – and risk management, due to the unreliability of municipal supplies. This continued preference for traditional sources alongside technological innovations should inform interventions to improve water availability, especially in small towns. Rajgarh in Himachal Pradesh, a rapidly growing small town which transports water through a 18km pipeline across mountainous terrain. Large infrastructure decisions and management choices. States and donors are increasingly developing top-down, large-investment infrastructure projects to supply water in mountain areas. These so-called “solutions” don’t always consider the full range of possible options – especially those that are more local, small-scale and relevant to those they serve. Multiple overlapping institutions for water supply. Water supply systems to address the needs of small towns are adopting new and varied governance structures. Donor and state-led systems should engage with local people and institutions both up and downstream, to ensure that development is useful to the communities it affects. Decision-making and research in the hills often takes place with little access to data, as most of the areas do not have long term monitoring and records. In such contexts, different forms of knowledge are required – these include local wisdom, experience over generations, expert opinion, as well as more innovative approaches to address data gaps (such as modelling). 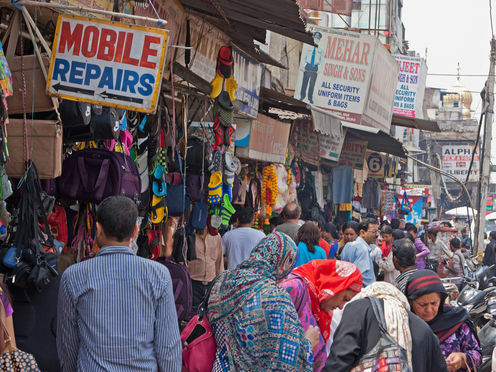 As India and the UK look to each other for areas of mutual dialogue, a focus on ecological smartness might provide a unique opportunity for harnessing the considerable wealth of research on these issues in both countries, as well as responding to the challenges that both India and the UK face as they become increasingly urbanised. Currently, ecologically-smart urbanisation is absent from the agenda of the tech-centred conversations now taking place in New Delhi. But the dialogue must expand to include the importance of finding ways for living well and sustainably in the rapidly urbanising 21st century. Bhaskar Vira receives funding from the Ecosystem Services for Poverty Alleviation (ESPA) programme, which is jointly funded by the UK Department for International Development (DFID), the Natural Environment Research Council (NERC) and the Economic and Social Research Council (ESRC). This article is based on an ESPA-funded project 'The Political Economy of Water Security, Ecosystem Services and Livelihoods in the Western Himalayas' (Grant No NE/L001365/1). Eszter Kovacs works on a research project funded by the Ecosystem Services for Poverty Alleviation (ESPA) programme (Grant No NE/L001365/1). Some of the reaction to the Article 50 judgment in the High Court is frankly frightening. 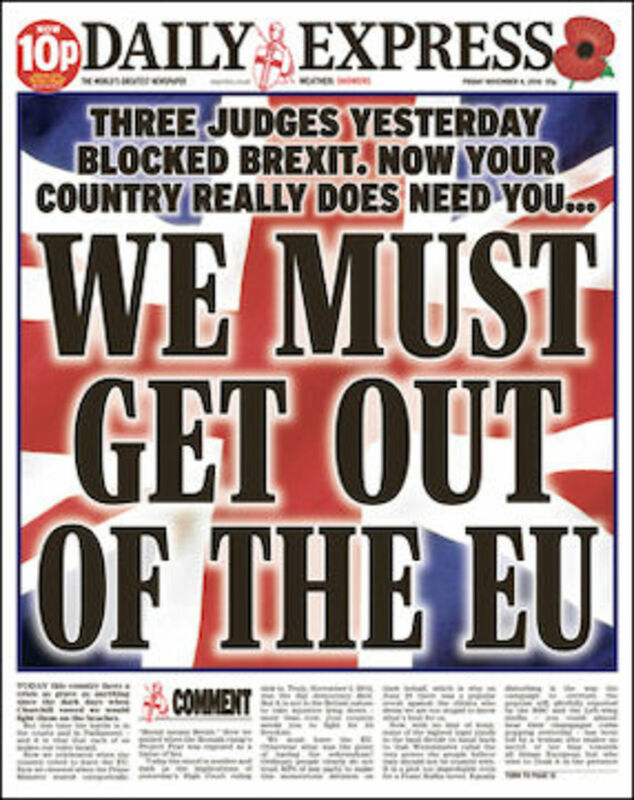 Do pro-Brexit politicians and journalists attach any value at all to what we call the “rule of law” or the “independence of the judiciary”? Or are they out simply to bully the court’s judges and whip up hatred against them? David Davies (the backbench MP for Monmouth, not the minister for Brexit) complained of “unelected judges calling the shots – this is precisely why we voted out!”. Conservative MP Jack Lopresti said: “unelected judges should not seek to thwart the will of the British people”, while Suzanne Evans, a candidate for the UKIP leadership, called for the judges who gave the judgment to be sacked – a tweet she at least had the good grace to delete. Meanwhile Douglas Carswell, supposedly the “moderate” voice of UKIP, suggested the judgment showed the need to get some different judges by reforming judicial appointments – while MPs and journalists “furiously” accused “activist judges” of mounting a “power grab”, seeking to overturn the referendum result. 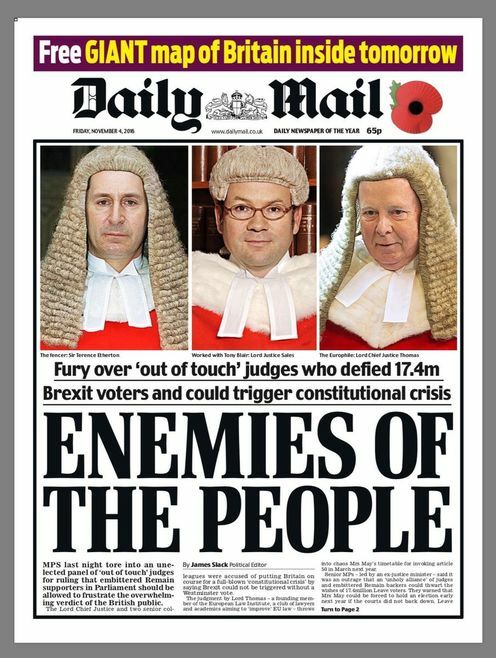 This seemed bad enough but then came the blaring headline in the Daily Mail, over a picture of the three High Court judges: “ENEMIES OF THE PEOPLE”. 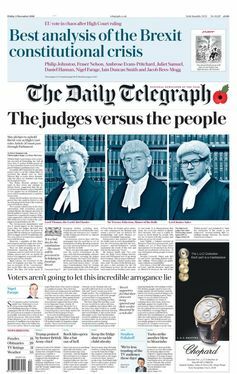 The paper described the “fury over out of touch judges who defied 17.4 million Brexit voters”. Not only was all this laughable or dangerous nonsense, but it seemed to betray the most basic misunderstanding of our most fundamental constitutional principles – as well as of the judgment itself, which it seemed no-one felt any obligation to actually read before going on the attack. First, there seemed to be a widespread assumption that courts just decide cases like politicians – to get the policy outcome they personally favour. Hardly anyone seemed to accept that decisions like this are simply the courts’ best assessment of what the law requires. It is agreed on all sides that this is a [legal] question which it is for the courts to decide … Nothing we say has any bearing on the question of the merits or demerits of a withdrawal by the UK from the EU or on government policy. That legal question was one of the most basic the courts must decide in any state in which the government, like the people, is subject to law: does the government have the legal power to do want it wants to – in this case, trigger the formal Article 50 process of withdrawing from the EU? The court decided, unanimously, that the government lacked this legal power, because it is a basic principle of the constitution that the prerogative cannot be used to take away rights granted to citizens by parliament – and that is precisely what triggering Article 50 would do. So this was nothing whatsoever to do with trying to stop the UK leaving the EU: it was making a purely legal finding about whether it is parliament or the government that can lawfully implement the decision to leave. More broadly, what the court was doing here was upholding two fundamental pillars of the “unwritten” British constitution – the rule of law and parliamentary sovereignty. This means the government can’t use the ancient, residual prerogative powers it inherited from the Crown to take away rights parliament has put into law – or render nugatory an act of parliament. Put simply: the royal prerogative can’t be used to take away the people’s legal rights. What could be more wonderfully English than that? A high principle of liberty under law – ringing down through the ages from the 17th century. It’s a judgment that should have made any patriotic Brexiteer proud. And yet we got the reaction above. Do any of these politicians or editors really disagree with having independent courts to decide when the government is acting unlawfully? Or do they think that politicians should be able to sack judges when they rule against the government, or pick “tame” judges who never will? 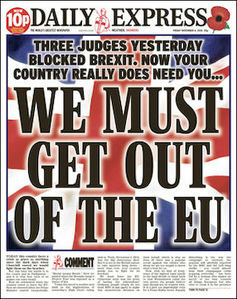 Do the newspapers want to incite hatred against our judges? Are they trying simply to intimidate them? We can only judge what we saw – naked attacks on the rule of law and the independence of the judiciary and the grossest distortions of what the court actually decided. Gavin Phillipson does not work for, consult, own shares in or receive funding from any company or organisation that would benefit from this article, and has disclosed no relevant affiliations beyond the academic appointment above. “In an historic move, MPs have voted in favour of the creation of babies with DNA from two women and one man,” BBC News reports. The UK is set to become the first country to license the technique known as three-parent IVF, which could potentially be used to prevent babies being born with mitochondrial diseases. The proposed change to the law, specifically an amendment to the Human Fertilisation and Embryology Act, will now go the House of Lords, who do have the power to delay the passage of the amendment into law. Almost all of the genetic material in our bodies is inside the cell nucleus that contains 23 chromosomes inherited from our mother and 23 inherited from our father. However, there is also a small amount of genetic material contained in cellular structures called mitochondria, which produce the cells’ energy. Unlike the rest of our DNA, this small amount of genetic material is passed to the child only from the mother. There are a number of rare diseases caused by gene mutations in the mitochondria. Women carrying these mutations will pass them directly to their child, with no influence from the father. Despite the media-friendly nickname, the techniques do not really constitute three-parent IVF. Only 1% of DNA would come from the “third parent”. It is probably more accurate to consider the technique as a form of donation, akin to blood donation. How many women could benefit from the technique? A modelling study published last month estimated that 2,473 women in the UK could benefit from the new IVF technique. This was based on the proportion of women known to be at risk in the north east of England, so does not take into account variations across the UK or US in terms of ethnic diversity or average maternal age. Pronuclear transfer involves an egg during the process of fertilisation. In the laboratory, the nucleus of the egg and the nucleus of the sperm, which have not yet fused together (the pronuclei) are taken from the fertilised egg cell containing the “unhealthy” mitochondria and placed into another donor fertilised egg cell, which has had its own pronuclei removed. This early-stage embryo would then be placed into the mother’s body. The new embryo would contain the transplanted chromosomal DNA from both of its parents, but would have “donor” mitochondria from the other egg cell. Should the details of the donor remain anonymous, or does the child have the right to know who their “third parent” is? Opponents of these types of treatments cite what can be broadly summarised as the “slippery slope” argument. This suggests that once a precedent has been set for altering the genetic material of an embryo prior to implantation in the womb, it is impossible to predict how these types of techniques might be used in the future. Similar concerns were raised, however, when IVF treatments were first used during the 1970s. Today, IVF is generally accepted. "Britons should fit blackout blinds and ban electronic gadgets from the bedroom to avert the risk of diseases such as cancer," the Mail Online warns. This alarmist advice is prompted by a review looking at the theory that electrical light at night disrupts our normal body block and could therefore pose a risk to our health. In the review, researchers looked at various studies, including research linking night-shift work with breast or colon cancer, and light levels in the bedroom being linked to depression and obesity. As the authors of this review acknowledge, the main problem with this type of evidence is that much of it is circumstantial, and may be influenced by bias and confounding from other factors. Another drawback is this study does not appear to be systematic. The researchers provide no methods for how they identified the studies they discuss, and we do not know that all relevant studies have been included. This effectively makes the review an opinion piece, albeit with lashings of supporting evidence. This means there is the risk that the authors have cherry-picked evidence that backs up their claims, while ignoring research that doesn't fit in with their theories. The potentially large public health impact of even a small increase in disease risk linked with light at night seems worthy of further study. But this study doesn't prove that light at night harms our health. Regardless, getting a good night's sleep is important. Read more about how to have a restful night. This opinion piece was written by two researchers from the University of Connecticut and Yale University in the US, and was jointly funded by the two universities. It was published in the peer-reviewed Philosophical Transactions B on an open-access basis, so it is free to read online or download as a PDF. The Mail appears to have taken the study at face value, recommending that Britons need to use blackout blinds on their windows, and clearly hasn't considered some of the drawbacks of this particular piece of research. Because this wasn't a systematic review, we can't be certain that the studies used to inform the authors' conclusions are representative of the literature on the subject, and could also be of questionable quality. This was an evidence-informed opinion piece, or narrative review, where the researchers discussed the theory that electrical light, especially at night, disrupts our normal body block. They consider whether this poses a risk to our health. This narrative discussion is referenced throughout, but no methods are provided. It does not appear to be a systematic review, where researchers search all the available evidence to identify studies related to the issue of the effects that electrical light may have on the body clock. This means we do not know that all the relevant studies related to this issue have been identified. As such, this review must largely be considered to be an article outlining the researchers' opinions, as informed by the evidence they looked at. What do the researchers discuss? The researchers present sleep deprivation or disruption at night as a result of exposure to electrical light as being a burden of modern life. While they say light at night has been linked to sleep disruption, "What has not been 'proven' is that electric light at night causally increases risk of cancer, or obesity, or diabetes, or depression." They say these links are plausible given that disturbed sleep can have an effect on cellular processes and DNA repair. The problem, they say, is that much of the evidence linking disturbed sleep and light at night to these diseases is circumstantial. They then describe what this circumstantial evidence looks like. What do they say about light at night and disease risk? The researchers discuss the issue of light at night and disease risk, supported by various studies. They first discuss studies that have linked night-shift work in women with an increased risk of breast cancer, thought to possibly be a result of the influence of melatonin on oestrogen levels. Melatonin is a sleep hormone, while high oestrogen levels are linked to breast cancer development. Similarly, a handful of studies have linked shift work or sleep disruption with bowel cancer in both sexes, and with prostate cancer in men, as discussed in our special report on shift working and health last year. But the researchers fail to mention that these studies may be influenced by various confounders. In 2007 the IARC classified shift work that involves circadian disruption as a class 2a probable carcinogen, putting it in a category alongside anabolic steroids, vinyl fluoride and mustard gas. This categorisation was based on a "compelling animal model", but limited epidemiological studies, where signs were consistent with a causal relationship but probably influenced by bias and confounding. The researchers then discuss other observational studies linking light level in the bedroom (either self-reported or measured) with depression and obesity risk. They acknowledge a risk of bias and confounding in these studies, but say that, "If these reported associations are causal, then there would be obvious and easy interventions, such as to use black-out shades and elimination of all light sources in the bedroom, no matter how minute." The researchers go on to present other small experimental studies where participants were exposed to different amounts of light at night. The effects on body chemicals were then measured, including the sleep chemical melatonin. The researchers go on to discuss the possible effect light has on genes involved in the control of the body clock, and how these could potentially be linked to cancer. In response to their overall question of whether electrical light exposure at night is a risk factor for our health, the researchers say this "cannot yet be answered with assurance, but is important to ask". They say that, "It must be stressed that there is ample evidence for the disruptive effect of electric light on physiology in short-term experiments in humans. "There is some epidemiologic evidence on the long-term impact on disease, but this evidence is not yet adequate to render a verdict." However, they stress this is "an urgent issue given the increasing pervasiveness of electric lighting in our built environment." This opinion piece discusses the evidence related to whether exposure to electrical light night is a health risk. Much of the article considers various experimental studies where small numbers of participants were exposed to different light levels at night, as well as observational studies reportedly linking night-shift work with cancer, including breast and colon cancer. The researchers also identified some studies linking self-reported or measured light in the bedroom with depression and obesity. But this study has two prominent limitations. It does not appear to have been a systematic review. No methods are provided, and we do not know whether the researchers have searched the entire global literature on the subject to identify all relevant studies. We also do not know whether studies linking light at night with disease could have been preferentially discussed as examples, while other studies that did not find any links were either not identified or not discussed in this review. As such, this review must largely be considered to be the opinion of the researchers as informed by the evidence they looked at. The second limitation is the strength and quality of the evidence linking light exposure at night to disease. Most of the experimental studies discussed, where people were exposed to different light levels at night, were very small (one included 12 people, another eight). These results are specific to the small sample included. This means they may be heavily biased and confounded by the characteristics of the participants, and therefore not apply to wider populations. The small sample size may also fail to identify any real differences because of a lack of statistical power. And just measuring body chemicals after a couple of nights of artificially manipulated light levels may not give us reliable evidence of health effects that would be seen with longer-term patterns. Much of the evidence looked at is also circumstantial and based on observational studies. Though the design and quality of these underlying studies was not examined as part of this appraisal, it is likely the studies may be subject to various sources of bias or confounding, making it difficult to establish direct cause and effect. The IARC study reportedly classified shift work that involves circadian disruption as a probable carcinogen. But the organisation acknowledged that this is based on limited epidemiological studies that may have been influenced by bias and confounding factors. Overall, the possible links between electrical light exposure at night and disease is definitely worthy of further study. But, for now, people should not be overly alarmed by these findings and feel the need to rush out to buy blackout blinds for their bedroom windows. That said, creating a calming environment in your bedroom, free from visual and audio distractions, can enhance the quality of your sleep. With the terrorism threat level remaining at “severe” (meaning an attack is highly likely), and the head of MI5, Andrew Parker, warning that “there will be terrorist attacks” in Britain, there is a climate of continuous public concern. And yet this November 5, like every other, the British skyline will be filled with explosions and the public will look on in delight. 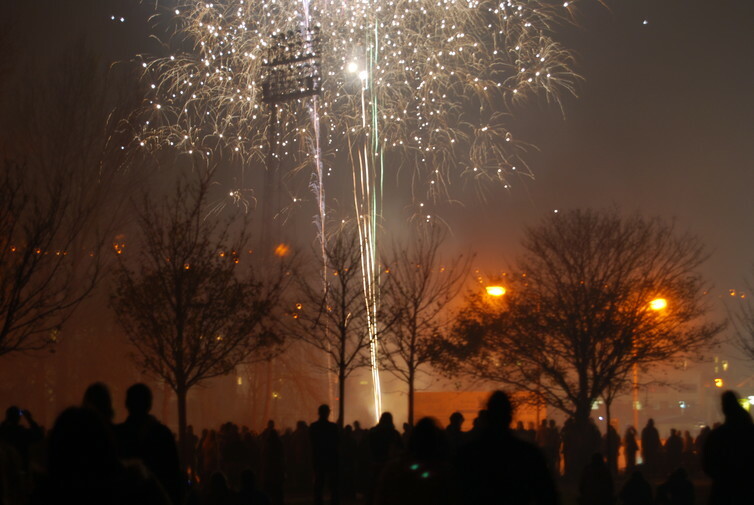 The story behind this annual celebration can become muddled, but it’s worth remembering that Guy Fawkes night marks the most famous counter-terrorism mission in history. Counter-terrorism is going on around us at all time – we just aren’t usually allowed to know about it. Many, if not most, of the families attending fireworks displays on this weekend will know the story of Guido “Guy” Fawkes. 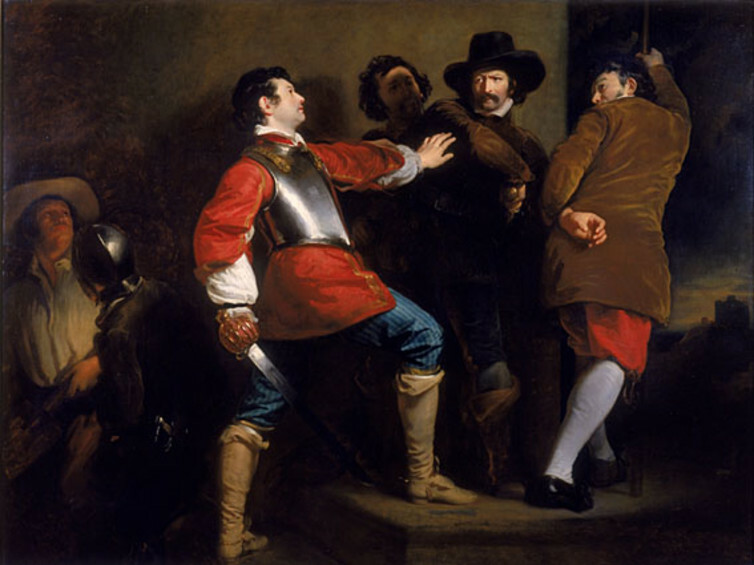 Fawkes, along with his 12 co-conspirators, tried to assassinate King James I of England and IV of Scotland by blowing up the Houses of Parliament with 36 barrels of gun powder. This was a planned act of terrorism to take place at the opening of Parliament on November 5 1605. Upon his coronation in 1603 King James failed to reverse the anti-Catholic laws. Instead he began to order Catholic priests to leave the country and increased oppression further by introducing legislation which refused Catholics the right to receive rent or make wills. In response, Robert Catesby, an English Catholic and the leader of the gunpowder plot, started to plan King James’ assassination. He thought that killing the King would incite a popular revolt whereby the throne would be returned to a Catholic – James’ daughter Princess Elizabeth. The year after the failed plot, Londoners were encouraged to light bonfires to commemorate King James’ survival. This tradition continues each year with Guy Fawkes – Britain’s most famous terrorist – annually punished through effigies (“Guys”) that are burnt on the top of bonfires. Louise Kettle does not work for, consult, own shares in or receive funding from any company or organisation that would benefit from this article, and has disclosed no relevant affiliations beyond the academic appointment above. "A cancer-killing cocktail of the hormone drug tamoxifen and two coffees every day was found to reduce the risk of [breast cancer] tumours returning," the Mail Online reports. The same study also found evidence that caffeine slowed the cancer's growth. The study looked at coffee consumption among 1,090 women with breast cancer, about half of whom were treated with tamoxifen. Tamoxifen is a hormonal treatment used to treat cases of breast cancer known to be associated with the hormone oestrogen (known as oestrogen-dependent breast cancer). The study found that women who reported drinking two to five cups of coffee a day had smaller primary tumours and a lower proportion of oestrogen-dependent tumours than those who drank one cup of coffee or less. Women with oestrogen-dependent breast cancer who were treated with tamoxifen, and who drank at least two to five cups of coffee daily, had half the risk of the cancer recurring as those who drank less. Researchers also carried out a laboratory study on the effect of two substances found in coffee – caffeine and caffeic acid (a compound found in coffee) – on breast cancer cells. They found that the substances suppressed the growth of breast cancer cells. There’s no harm in women being treated with tamoxifen for breast cancer drinking coffee in moderation. However, drinking excessive amounts can cause irritability, insomnia and indigestion. The study was carried out by researchers from Lund University and Skane University Hospital in Sweden, and the University of Bristol in the UK. It was funded by various grants from Swedish organisations, including the Swedish Cancer Society and the Swedish Research Council. The study was published in the peer-reviewed journal Clinical Cancer Research. The Mail Online’s reporting of the results implies it was proven that coffee prevents the return of oestrogen-dependent breast cancer or enhancing the action of tamoxifen. This is not the case, though the initial results are encouraging. The Mail Online also did not include any comments on the study from independent experts. As a result, there is a risk that millions of women taking tamoxifen will start worrying about how much coffee they should drink. There are no official UK guidelines on caffeine consumption, but regularly drinking more than 400 milligrams (mg) of caffeine a day (around four cups of brewed coffee or two "energy drinks") could cause side effects. This was a cohort study of 1,090 women with primary invasive breast cancer, living in Sweden. It is a follow-up study to one published in 2013 by the same researchers, which used a smaller number of women from the same cohort. The researchers say their previous study found an association between moderate to high coffee consumption and improved survival rates among women with breast cancer who were treated with tamoxifen. The researchers say the aim of the study is to investigate the association between coffee consumption, cancer characteristics and survival rates in a larger cohort of women with breast cancer. Some breast cancer tumours rely on oestrogen to grow. These are called oestrogen-receptor (ER) positive cancers (the convention in classifying these types of cancer is to use the American spelling of oestrogen, which is estrogen; hence the ER). Tamoxifen is the main hormonal therapy drug given for these types of breast cancer, as it blocks oestrogen from reaching the cancer cells. This reduces or stops the cells from growing. The researchers also performed studies in the laboratory using human breast cancer cells to look at possible mechanisms by which two substances in coffee – caffeine and caffeic acid – may affect breast cancer growth. For the cohort study, 1,090 women aged 24 to 99 who had been diagnosed with primary invasive breast cancer between 2002 and 2012 were recruited. Before undergoing surgery, the women’s body measurements and breast volume were taken and they were given an extensive questionnaire on their reproductive history, medication use and lifestyle factors, including smoking, alcohol and coffee consumption. Coffee consumption was categorised into low (one cup or less a day), moderate (two to four cups a day) or high (five or more cups a day). The researchers obtained information from pathology reports and medical records about tumour size and grade, whether it had spread to any lymph nodes, and if the tumour was hormone-receptor positive. The women were followed until either their first breast cancer recurrence, their last disease-free follow-up or their death, whichever came first, before January 2013. Follow-up information on whether the breast cancer came back or whether the women had died was obtained from various official records. The results were analysed using standard statistical methods and adjusted for other factors, such as tumour size. In their laboratory study, human breast cancer cells were exposed for 48 hours to caffeine or caffeic acid, with or without tamoxifen. The researchers used breast cancer cells that were ER positive, ER negative or cells that were resistant to tamoxifen. A minimum of three independent repeats were performed for each experiment. In the laboratory, caffeine and caffeic acid suppressed the growth of both ER positive and ER negative cancer cells. Caffeine and caffeic acid also had other effects on breast cancer cells, which led to slower cell growth and enhanced cell death. The researchers say their findings demonstrate the various anticancer properties of caffeine and caffeic acid against both ER positive and ER negative breast cancers. In particular, they suggest that coffee may sensitise tumour cells to tamoxifen and therefore reduce breast cancer growth. It is possible, they say, that the substances in coffee switch off signalling pathways that cancer cells need to grow. This study is interesting, but has several limitations. Its first finding was that women who report higher coffee consumption have smaller breast tumours, and also that their cancers are less likely to be ER positive. However, it seems that the women only reported their coffee consumption once, after diagnosis, and it is unclear from the write-up whether the questionnaire referred to their past or present coffee drinking habits. The women may also have under- or overestimated their coffee consumption, especially if they were asked to recall coffee consumption over a long period. The accuracy of coffee consumption is further hampered, as the study did not provide a standard definition for the size of a "cup" of coffee. The second finding was that among women with ER positive cancer being treated with tamoxifen, higher coffee consumption was associated with better results. This sounds promising, especially when taken with the results of the laboratory study, but it is always possible that confounders might have affected the results. Tamoxifen is normally only used in women with ER positive cancer who have not yet gone through the menopause. Therefore, it is unclear whether a similar effect would be seen in post-menopausal women who require a different type of hormonal treatments, such as aromatase inhibitors. Further research is required on the possible association between coffee consumption and breast cancer risk, as it could lead to new treatments. However, it should be noted that over-consuming coffee can have negative side effects. Regularly drinking more than five cups of coffee a day can cause insomnia, irritability, an upset stomach and palpitations. Where the £1.8 billion figure comes from, and the best rough estimates we have of deliberate and normal use of the NHS by foreigners. The post Health tourists: How much do they cost and who pays? appeared first on Full Fact. "biological pathways" that regulate appetite and hunger. While it may feel like the sensation of hunger is triggered by the stomach, it is actually the brain that causes the sensation – specifically, a region of the brain called the hypothalamus. The researchers’ experiments in mice found that, when hungry, the brain produces a chemical called AgRP. This targets a region of nerves cells known as MC4R, which in turn stimulate another nerve cell pathway (LPBN) to stimulate appetite. Meanwhile, another group of nerve cells producing a chemical called POMC block the MC4R-LPBN pathway when we are full. The researchers suggest that this MC4R-LPBN pathway could be a target for weight loss treatment, possibly in the form of a safe and effective appetite suppressant. However, it is too early to confirm whether this could be a possibility. Biological pathways may be similar in humans, but we don't know if they are exactly the same. Even if further research confirms this pathway as being a key regulator of food intake in humans, no treatment targeting this area has been developed. The researchers used invasive techniques, such as surgery or injections, to manipulate the pathways in mice, rather than drug treatment. The study furthers the understanding of brain pathways involved in appetite regulation, but the findings have no current implications. The study was carried out by researchers from the University of Edinburgh, Harvard Medical School and other US institutions. The study received various sources of funding, including the University of Edinburgh Chancellor’s Fellowship and US National Institutes of Health. The study was published in the peer-reviewed scientific journal Nature Neuroscience. The Mail Online may have jumped the gun in calling this research a "breakthrough that could help dieters lose more weight". We are a long way from knowing whether a safe and effective treatment could be developed on the back of this research, and even further from knowing whether such a treatment could make dieters "less grumpy". The Daily Telegraph’s coverage is more restrained and includes some interesting, if over-optimistic, quotes from the researchers themselves. This was a laboratory study looking at how appetite is regulated by brain cells in the arcuate nucleus (ARC) of the hypothalamus. The hypothalamus brain region regulates hormone production, keeping our body process in balance; this includes temperature, sleep and appetite. The researchers say there are two sets of brain cells in the ARC that work to regulate appetite. Some signal that the body is full, others that the body is hungry and needs to eat. ARC agouti-related peptide (AgRP) increases food intake, while pro-opiomelanocortin (POMC) decreases food intake. It is thought that both control appetite by influencing downstream nerve cells – melanocortin-4 receptor (MC4R)-expressing nerves. Previous studies have shown that MC4R nerves have an effect on feelings of fullness and promoting weight loss. These nerves are located in a different part of the hypothalamus – the paraventricular nucleus of the hypothalamus (PVH). This study used various mice genetically engineered to have functioning or non-functioning versions of these nerves, to further explore the nerve pathways that control appetite in the hypothalamus. The research team used a large number of laboratory experiments in mice to explore in detail the brain pathways involved in appetite and feeding behaviour. They did a lot of different experiments, which included manipulating brain circuitry through genetic engineering and surgery to measure the effect on energy expenditure, eating habits and other appetite-related behaviour. For example, one of the experiments involved switching off different brain cells by exposing the mice to blue laser light, via an optical fibre implanted into their brains. This allowed them to see what role these brain cells were playing. Other experiments involved manipulating cell function via injections. They also analysed the brains of mice after they’d died. All the experiments aimed to build a clearer picture of the specific roles of AgRP, POMC and MC4R brain cell signalling in appetite and feeding behaviour. The researchers found that not having enough energy activates the AgRP cells of the ARC, and this switched off the MC4R nerve cells of the PVH, which drive hunger, appetite and food intake. MC4R had this effect by activating the lateral parabrachial nucleus (LPBN) pathway. Activating this brain circuit promoted appetite. Meanwhile, fullness stimulates the POMC cells of the ARC and "switches on" the MC4R cells. In short, switching MC4R nerve cells off heightened hunger, while turning them on meant they felt full. The researchers say that the effects of MC4R nerve cells upon LPBN nerve cells supports this as a brain circuit for suppressing appetite, and highlights this as "a promising target for antiobesity drug development". This study in mice explored the nerve cell pathways in the hypothalamus that regulate appetite. It found that hunger drives cells producing a chemical called AgRP to increase food intake. They do this by acting upon MC4R nerve cells in another region of the hypothalamus, which in turn stimulate another nerve cell pathway (LPBN) to stimulate appetite. Meanwhile, another group of nerve cells producing a chemical called POMC block this MC4R pathway when we are full. The researchers suggest that this MC4R and LPBN pathway could be a target for weight loss treatment. However, it is too early to say if this is a possibility. This laboratory research has only studied mice, and though biological pathways may be similar in humans, we do not know if they are exactly the same. Even if further study identifies the same pathway used in humans, there is currently no treatment to target it. There would be many stages in drug development to go through before it is known whether a treatment could be developed, and then whether it could be safe and effective. There are techniques you can use to resist the temptation of abandoning your diet goals for the day, such as recognising the triggers, like stress or tiredness, that cause you to overeat. Once you do this, try to find new methods, other than eating, to cope with the triggers. “Feeling young at heart wards off death, scientists find,” The Daily Telegraph reports. A UK study found that people who reported feeling younger than their actual age were less likely to die than those who reported feeling their actual age or older. The BBC tells us "all age groups in the UK consume twice as much as this limit", so the gulf between what is good for our health and what we actually do is now wider than ever. The main sources of free sugars are sugar-sweetened drinks, cereal, chocolate, sweets, fruit juice and added sugar at the table. The government has reportedly accepted the new recommendations, which will be used as part of a wider strategy to tackle obesity. The SACN advises Public Health England, who run the NHS in England, and other government agencies and departments on nutrition and related health issues. Thinking of throwing a sicky? Your usual alibi might be a little less convincing following today’s report by The Independent that "Four in 10 Britons immune to flu symptoms, leading to hopes of a new vaccine". An added potential benefit of their finding was that symptom immunity in one virus strain showed similar signs in another. That said, only two virus types were tested, so we don’t know whether this "cross-reactivity" is widespread. The T cells are thought to target an important part of the flu virus machinery called nucleoprotein. Nucleoprotein exists across many strains of flu virus, so T cell-linked immunity against this key part of the virus may help to confer symptom immunity against a wide range of different strains. If true, the hope is this might be harnessed to form a more effective vaccine and limit the spread of both seasonal and pandemic flu through coughs and sneezes. Influenza-specific T cell responses were detected in 43% of people, indicating a lot of people carried some level of immunity that lessened their symptoms. A study of 1,414 unvaccinated people showed those with T cells targeting virus nucleoprotein still got infected by flu, but had fewer symptoms. The logic is that if people with fewer symptoms are less likely to spread the virus through coughs and sneezes, which may slow the spread of both seasonal and pandemic flu strains. This is plausible but was not directly tested in this study, so we don't know if it's true in real life. The research team suggested vaccines that boost T cell numbers might be worth exploring, as an alternative to those that try to stop virus infection altogether. An added potential benefit of their finding was that symptom immunity in one virus strain showed signs of immunity in another. “New trials suggest microscopic stealth drones could be used to seek and repair damaged arteries,” The Daily Telegraph, somewhat over-excitedly, reports. A study in mice has found promising results for a targeted treatment where nanoparticles are used to deliver a "repair protein" to sections of arteries affected by atherosclerosis. Atherosclerosis occurs when fatty material collects in the lining of arteries, causing inflammation. The body tries to repair this, covering the areas with fibrous tissue, creating “plaques”. Continued fatty build-ups collect on these plaques and eventually the repair system fails, and the plaques rupture. This may cause a blood clot to enter the circulation and cause a heart attack or stroke. In this study, researchers have identified a protein called annexin A1, which is usually part of the repair process. They took a section of this protein and covered it in a nanoparticle (a microscopic particle). They then attached proteins to the surface that would “stick” to the plaques. The nanoparticles targeted the plaques in mice with advanced atherosclerosis, where they slowly released the section of annexin A1, which helped to improve the repair system. Further studies in pigs and then primates are now planned. If successful, human trials may then be conducted. The study was carried out by researchers from Colombia University in New York, Brigham and Women’s Hospital in Boston, and Barts and the London School of Medicine. It was funded by the US National Institutes for Health, the Wellcome Trust and the David Koch Prostate Cancer Foundation. The authors have disclosed a competing interest, in that an international patent has been filed for the inflammatory resolving nanoparticles. The study was published in the peer-reviewed journal Science Translation Medicine. We suspect that somebody at The Daily Telegraph has been reading too much science fiction, which led to their description of “microscopic stealth drones”. Microscopic? Yes. Stealth drones? No. That aside, the media reported this study accurately, though descriptions of nanoparticles “mending” or “repairing” damaged arteries, are not exactly what occurred. The new technique helped to stabilise plaques and reduce the damaging inflammation, but did not remove them. This was an animal experiment, which aimed to test a new technique to resolve atherosclerotic plaques. Atherosclerosis (hardening and thinning of the arteries) occurs when fatty material collects in the lining of arteries, causing inflammation. This in turn causes the body to try to repair the area by forming a protective fibrous tissue over the top. These areas, called plaques, continue to build up and restrict blood flow. Eventually, the inflammation continues, but the repair process stops working. The plaques then have a thin layer of this fibrous tissue and so are more likely to rupture, causing a blood clot to break off, which can lead to a stroke or heart attack. Prevention of atherosclerosis involves a healthy diet, not smoking, and doing exercise, though plaques may still develop. Current treatments aim to reduce the amount of cholesterol in the blood using statins, treating high blood pressure to reduce the likelihood of a plaque rupturing, and drugs such as aspirin to thin the blood and prevent it sticking to the plaques and causing a clot. The researchers’ main aim was to find a way to reduce the inflammation that is occurring within the plaques as an additional treatment strategy. Other novel attempts, such as with genetic manipulation or immunosuppressant drugs, dampen down the whole immune system, leaving it vulnerable to infection. This new technique, using targeted nanoparticles, means that a limited amount can be circulated in the bloodstream, without affecting the normal immune response. The researchers isolated a human protein called annexin A1, which normally helps to resolve inflammation. They took a component of this, called Ac2-26, and covered it in a nanoparticle, which is a microscopic particle with a diameter of 100 nanometers or less. They attached peptides to the surface of these nanoparticles that would effectively “stick” to the plaques. They injected mice with advanced atherosclerosis once per week for five weeks with either these nanoparticles, a scrambled version of the nanoparticles, Ac2-26, or a control of normal saline (salty water). The researchers then looked at the first part of the aorta (the main artery taking oxygenated blood from the heart to the body) and the main artery that supplies the brain. In short, this acted to resolve the inflammation and stabilise the plaques. These changes were not present in the spleen or liver, indicating that the nanoparticles were likely to have just targeted the plaques. The authors concluded that their animal experiments “tested a proof-of-concept targeted NP [nanoparticles] with one type of proresolving mediator. To bring targeted resolution mediator nanotherapeutics to the clinic for patients at high risk for atherothrombotic vascular events, additional confirmatory studies will be needed, including evaluation in more predictive models, such as fat-fed pigs and non-human primates”. They also acknowledge that “detailed toxicity studies will be needed to show the safety of both the NP material and the resolution mediator cargo”. This exciting study in mice has shown that nanoparticles can be manufactured to target the plaques that form in atherosclerosis, and help stabilise them. It appears that the nanoparticles honed in on the plaques, rather than affecting other organs such as the spleen or liver, which gives an early indication that there may not be substantial side effects. However, it will be necessary to see if the same holds true for other organs. As with all mice studies, they give an indication of the likely biological effects of a new technique, but they do not provide the full picture of what may happen in humans, especially with regards to more subtle side effects. The media have rather exaggerated the results of this study by claiming the technique repaired arterial damage. This is not the case; the nanoparticles were able to help stabilise the plaques and reduce the inflammation that is part of the process of plaque formation. However, the study did not show that the arteries went back to normal. The plaques were still present. This technique, if possible in humans, would be an additional strategy for “damage limitation” of atherosclerosis. Researchers now plan to see if the techniques work in animals with more complicated bodies and biological systems, such as pigs and primates. If these hurdles are successfully passed, human trials may then begin. Currently, the best way to slow down or try to prevent atherosclerosis is to lead a healthy lifestyle and reduce known risk factors. This includes stopping smoking, weight management and regular exercise. In some cases, cholesterol-lowering medications, such as statins, and blood-thinning medications, such as low-dose aspirin, may also be recommended. The post Are there 70-million people in South Africa? The claim is unsubstantiated appeared first on Africa Check.